Nalézáte se zde: Mascus Česko > Mascus Lokátor - Databáze firem > Evropa > Polsko > Małopolskie > Kraków > Totex Sp. z o.o. 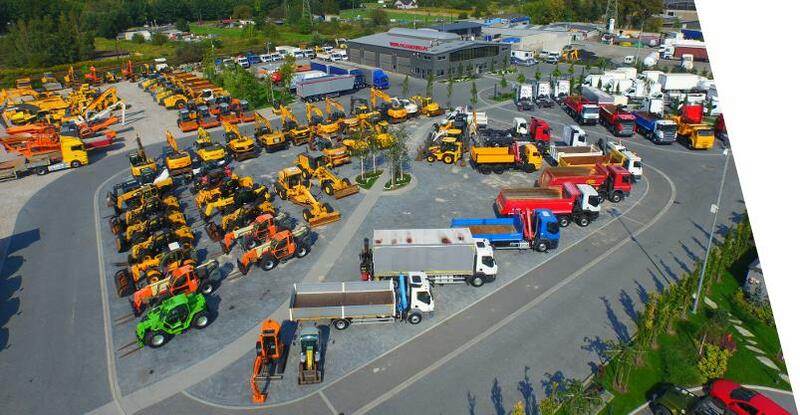 The subject of our business is the purchase and sale of used trucks, tractors and semi-trailers and construction machinery. Many years of experience in the industry and constant contact with our customers have a positive effect on the content of our offer and, above all, its quality and attractiveness from the point of view of individual needs. In addition, we noted that our company is well known that sell vehicles in very good condition and visually. Our customers also help in obtaining optimal financing in the form of lease or loan for selection in our vehicles. We invite you to familiarize yourself with our offer. Inzerce na Mascus od prodejce Totex Sp. z o.o. » Ukázat všechny nabídky prodejce Totex Sp. z o.o. Nájít cestu k Totex Sp. z o.o. Kontaktovat Totex Sp. z o.o. Toto je stránka společnosti Totex Sp. z o.o. nacházející se v Polsko, Małopolskie, Kraków. Společnost nabízí tyto druhy služeb:použitá technika a finanční služby. Totex Sp. z o.o. zastupuje značky: Caterpillar, Volvo, JCB, Scania, Mercedes-Benz. Firma se specializuje na koparki, koparko-ładowarki, koparki kołowe, ładowarki, wozidła, koparki gąsienicowe, ciągniki siodłowe, naczepy, komabajny, dostawcze.